When home skin products aren't effective but you aren't ready for surgery, learn more about nonsurgical and minimally invasive treatments to rejuvenate the skin like microneedling. We are pleased to offer microneedling (also known as collagen induction therapy) at our spa in Fleming Island, FL in the Jacksonville, FL area. Microneedling uses several fine gauge needles to safely and effectively create micro-injuries in the needed areas of the skin. The micro-injuries are created to trigger the body's natural production of collagen and elastin, two nutrients that boost the appearance and health of the skin. 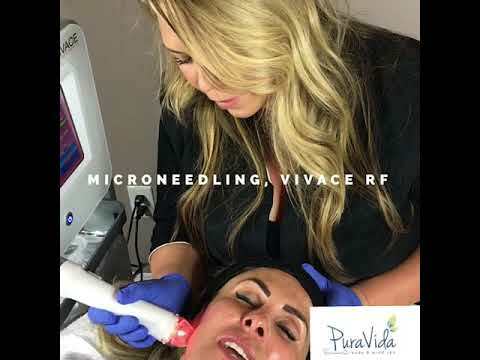 Schedule a consultation at Pura Vida Body & Mind Spa to hear more about the benefits of microneedling and ways to customize the treatment for your needs and goals. You can also infuse your skin with platelet-rich plasma (PRP) serum to get the most impact of your microneedling treatment. We take a vial of your own blood, and spin it in a centrifuge to separate your platelets and growth factors to make the PRP. An application of healthy PRP serum is smoothed over the skin (and/or injected) to be absorbed in all the micro-injuries in your skin. You may benefit from microneedling if you have mild to moderate skin issues, like a decrease in elasticity or a rough texture. Microneedling treatments can also minimize the appearance of scars, stretch marks, and pores. You must be willing to wait a while before seeing improvements from your microneedling treatment, since the collagen and elastin will need some time to have an effect on the skin, but you will develop natural-looking results and gain healthier overall skin. Microneedling is completed in a private treatment room in about 30 – 60 minutes with numbing cream or a local anesthesia if preferred, but patients generally report mild or no discomfort. The skin being treated will be cleansed before the handpiece is passed evenly over the chosen areas. After the microneedling is complete, a topical treatment like platelet-rich plasma (PRP) or a vitamin-infused serum can be applied to the treated area for deeper penetration of the nutrients into the skin. A protective moisturizer will be applied along with UV protection since your skin will be sensitive after the treatment. You may experience mild swelling and redness for about a day after the treatment, but this should fade naturally. It may take about 1 – 2 months as the collagen and elastin levels increase before you see visible improvements in the health and appearance of your complexion. You should plan to get about 4 – 6 maintenance treatments every 4 – 6 weeks for ideal results and long-lasting skin health. 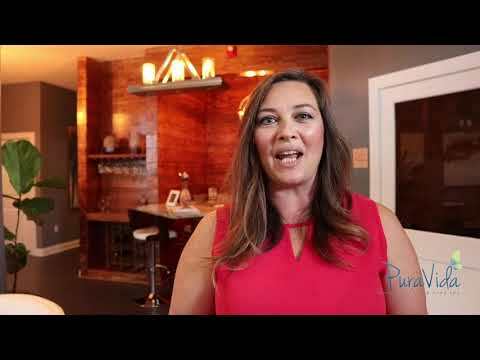 Microneeding is a great way to improve the texture and appearance of your skin at Pura Vida Body & Mind Spa in Fleming Island/Jacksonville, FL. You should add this treatment to you skin care routine to enhance your skin's health and a radiance that will be noticed. Schedule a consultation with our team to find out if microneedling is right for you and if it can be added alongside other skin care treatments you might already use or want to try.